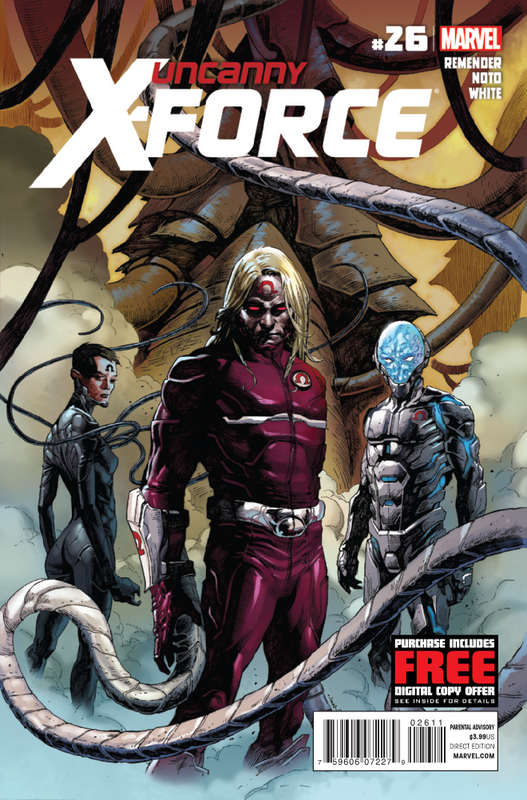 Marvel has provided the following preview of Uncanny X-Force #26 which comes out next week on 6/13/2012. • Meet the Omegas and watch them destroy Wolverine, AOA-Nightcrawler and Deadpool! • Psylocke goes to the Jean Grey School for Higher Learning to visit Angel, but she finds something she was not expecting. • The new Brotherhood of Evil Mutants kicks their plan into high gear!